Visit the Marangu falls go swimming and experience stunning landscapes. The waterfalls are situated in the Kilimanjaro National Park, to the foot of the Kilimanjaro. About 40 minute drive from Moshi town, from which you have a very nice view on Mt. Kilimanjaro, located in the beautiful country side of Marangu surrounded by lush landscapes, you will find this hidden waterfall. At the base of Mt. Kilimanjaro, Ndoro Waterfall is one of the most popular and largest waterfalls in the area. 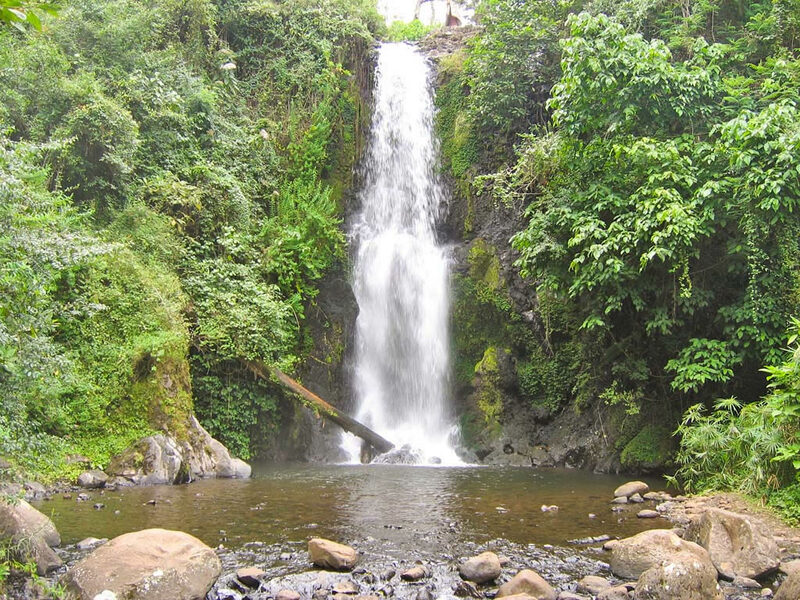 A one hour hike, descending through the stunning green landscapes of Chagga (the largest tribe in Tanzania) land will bring you to this huge waterfall, here you will have the opportunity to you can stand underneath the waterfall, even jump off one and go swimming in the refreshing water and have a well-deserved break for lunch in the beautiful valley. The word "Marangu" means a place with too many water streams. This is one of the most popular places in Tanzania. Transportation will be provided by bus or car from Arusha to the Marangu waterfalls. The source of the water comes directly from the glacier on top of Kilimanjaro. Splendid, green areas where also grow the most fantastic trees and exotic plants. If you want more information about our daytrips and excursions, please feel free to contact us.